﻿ NEO Review | Can it be the one to dethrone the mighty Ethereum? Among over 1500 cryptocurrencies that exist today, one can find both groundbreaking and completely useless projects. The fact is that, due to the general immaturity of the crypto market paired with the lack of strict regulation, many projects are just mind-boggling ideas joined with good marketing. These projects often don’t have any working technology to back up the boasting of its team members, and lures customers into investing into something that will probably never deliver a working product. That’s why all investors are advised to take extra caution, which means investing appropriate amounts after doing a needed research. Here at CryptoTradingReview, we’re doing the due diligence for you by presenting you only the best from the world of crypto. And today, we’re bringing you NEO, an exciting ecosystem with many features and a number of upcoming projects and improvements. Eager to learn more about the China’s biggest crypto start-up? 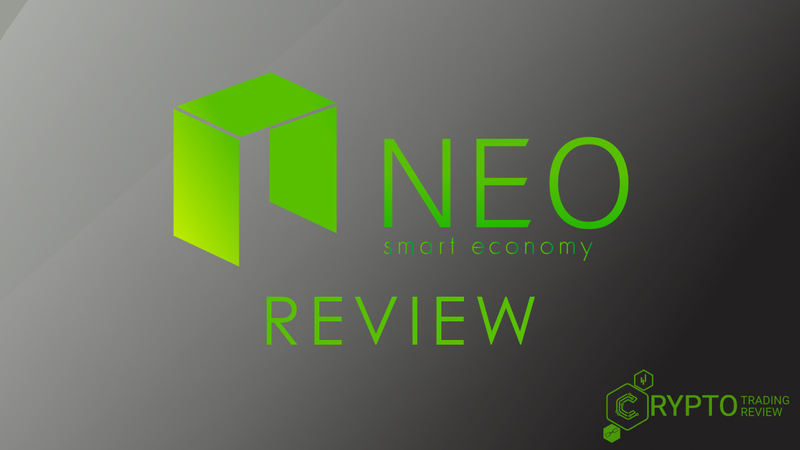 Our NEO review has everything you need to know. The very beginning of NEO cryptocurrency can be traced back to 2014, merely five years after the blockchain technology has been publicized in Bitcoin’s whitepaper. Often dubbed as “China’s Ethereum”, Antshares was conceived with the general idea of having a powerful underlying blockchain technology for building decentralized applications on top of it. The project was brought to life by two founders and core team members, Da Hongfei and Erik Zhang. They were basically the pioneers of blockchain technology in this country and are still working on promoting the technology to the masses, often serving as advisors to China government regarding regulatory frames. Along Antshares, which meant to explore the possibilities of this new technology as a foundation for more complex applications, the duo found OnChain, a company directed to offering blockchain solutions to corporations. Both projects rose to prominence some years later, in 2016, when OnChain’s first commercial product called DNA was released. DNA, or Distributed Networks Architecture, enables seamless integration of blockchain technology to existing solutions for companies of various industries, as well as cross-chain interoperability. The fact that it used Antshares as a technology for building its services has put both projects under the spotlight, resulting in Antshares rebranding to NEO in mid-2016. 2016 was a big year for the founding duo, since OnChain was accepted to Hyperledger, a governing organization started by Linux foundation with the goal being joining forces of many key blockchain projects in order to make advances in the technology. Also, OnChain announced partnerships with Microsoft and Alibaba, and was elected into the top 50 Fintech companies in China. This reflected on the NEO coin price as well, eventually placing it in the top 10 on numerous websites. Nevertheless, the cryptocurrency continues to amaze with its great features and a huge list of upcoming projects and collaborations. 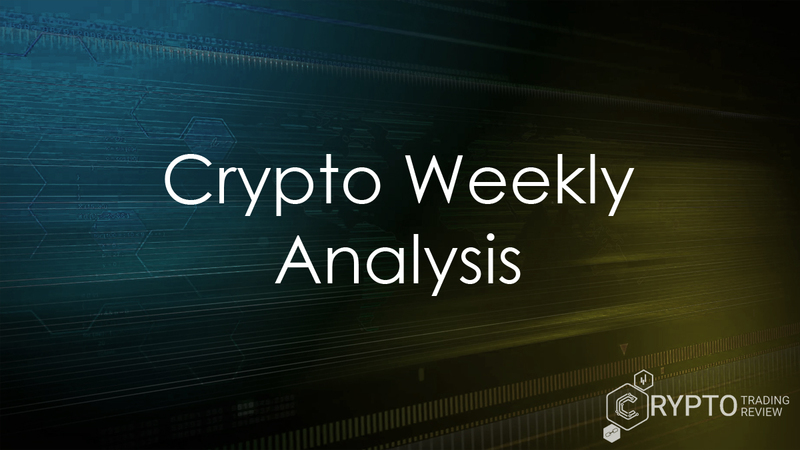 However, before we get there, we must first see what the key components of the ecosystem are, and which core features need to be analysed in the rest of this NEO review. Keep on reading! Since the inception of this cryptocurrency, its founders envisioned the so-called smart economy, a complete self-sustainable environment with the ability to digitize and store all important data, as well as to exchange assets between platform users. 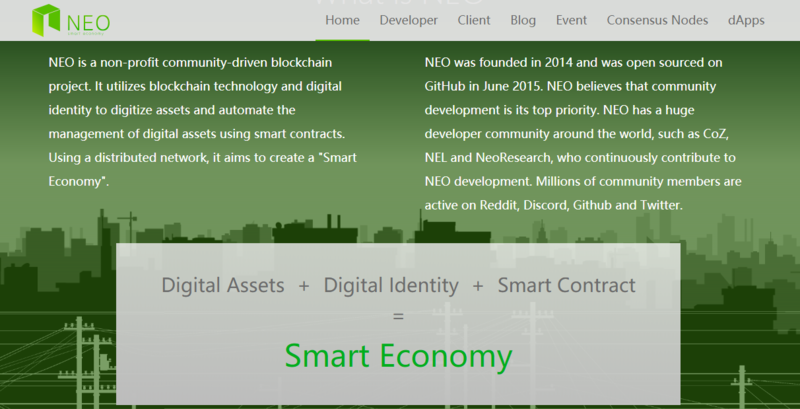 That’s why there are three main components of NEO economy – digital assets, digital identity and NeoContracts. Here we’ll explain each of these concepts in more details. Digital assets currently might be the most popular application of blockchain technology. Basically, when the majority of people think of cryptocurrencies, they think about digital, easily transferable assets that carry a certain value. That’s what you can get with NEO as well – depending on the implementation, there can be a variety of assets that can be exchanged between network participants. When it comes to tokenization of value, there are two main tokens in the ecosystem, resembling the system proposed by Ethereum Foundation. NEO is the main token that serves as a value token or acting as a stake of the whole ecosystem. Unlike majority of other cryptocurrencies, NEO is indivisible, meaning that you can’t purchase a fraction of token, only the whole one. The other token, GAS, is a utility token that is produced by staking NEO in an official wallet, and is used to power various network functionalities, the most notable ones being smart contracts. We’ll talk a lot more about GAS later on, when we focus on coin generation method. Digital identity is the key benefit in a smart economy system that NEO aspires to create and popularize. It is a direct product of cooperation with Microsoft China, by abiding the strict legal frame created by China’s act regarding digital signatures, published in 2005. In 2016, OnChain and Microsoft China created Legal Chain, a fully legal and compliant way of linking digital and physical assets, allowing their exchange and documentation via blockchain technology. NEO uses the X.509 standard for defining public key certificates, which ensures immutability of both identity and assets data on the blockchain. Also, developers of apps based on NEO blockchain have the ability to incorporate various biometrical identification methods such as fingerprint, face recognition, voice unlock and such, apart from some common ways such as SMS verification or two-step authentication. Apart from its core purpose, digital identity might bring revolution to some tracking mechanisms such as voting, real estate trading and such. Finally, NeoContracts are basically the same thing as Ethereum’s smart contracts, with NEO claiming them to have better scalability and security features. Historically, this was the main idea of creating this platform – building robust and secure environment for hosting custom-build decentralized applications. However, here NEO has some significant advantages when compared to other similar crypto projects. First of all, due to the implementation of sharding and concurrency features that strips the transaction to only the bare minimum of data and storing the rest to sidechains, transaction speed is increased. In fact, the platform can theoretically process up to 10 thousand transactions per second, comparing to Ethereum’s 15 or Bitcoin’s three. Furthermore, in order to create decentralized apps, developers don’t have to get comfortable with a brand-new language such as Ethereum’s Solidity. Instead, the platform can execute code written in many popular languages, including Java, Kotlin, C#, and Python, with more of them to come. This is made possible thanks to the versatile compiler software that integrates in popular development environment, as well as NeoVM, a lightweight and fast execution environment that is the foundation of next generation of smart contracts. Okay, now we’ve covered the basics of the so-called smart economy. Now let’s see how token distribution works on this platform, as well as some data from the project’s ICO. Read on! As we have already mentioned in this NEO review, there are two main tokens in this ecosystem, NEO and GAS. Although they bear some resemblance, their role is fairly different. Here we’ll analyse how they are used and the distribution mechanism behind them. The main NEO token basically represents some network managing rights. These include voting for some network parameter changes, bookkeeping and other features, in accordance to the voting mechanism and aiming to achieve network consensus. We’ll be talking a lot more about how consensus is achieved later on, when we come to the technical aspect of the project. The main NEO token is indivisible, meaning that the least amount you can possess is one whole token. We should also state that all tokens – 100 million on them – have been generated in the first, genesis block. This means that the network is not secured by proof-of-work method like Bitcoin and Ethereum are. Instead, creators of the project implemented the much more energy-efficient proof-of-stake protocol, with slight modifications. We’ll elaborate it later on. As for the distribution mechanism, the initial 100 million tokens have been split into two groups of the same size. The first 50 million have been distributed to early backers and crowdfunding investors during the initial coin offering. This part has entered the market in late 2016, when the funding of the project came to its successful end. The second half of the total coin sum is kept and controlled by the so-called NEO Council. It states for a team of 9 core members and contributors that are deciding about the project future. The council members are also ruling the City of Zion, a global union of open-source developers and designers meaning to support the whole NEO ecosystem. Tokens governed by the Council had a lockup period of one year that expired in October 2017. This portion is to be spread around different projects and to serve various purposes. That being said, 10% will serve as an incentive for core developers and members of the Council, while the same amount is planned for motivating developers from the ecosystem. 15% of the funds are meant for investing into other blockchain projects owned by members of the NEO Council, while the last 15 million will be kept safe in case of unpredicted events. GAS, on the other hand, has a fairly different generation and distribution system. Genesis block didn’t contain any GAS tokens, since they are designed to generate with each block of the main chain. The generation is following the so-called decay algorithm, which reduces the number of generated GAS over time. Currently, the block generation time is between 15 and 20 seconds, with 8 new GAS tokens generated with each block. Much like main NEO tokens, GAS tokens are hard-capped at 100 million as well, with the trajectory to generate all of them 22 years after the genesis block. An annual reduction of 1 GAS token per generated block is implemented, resulting in only 1 GAS as a reward that will apply to last 14 years. GAS tokens are closely connected to governing NEO public addresses and their holders can claim them at any time by activating the claim transaction. That’s about it for this NEO review when it comes to token generation event and distribution. However, some mentioned terms still require thorough analysis, such as City of Zion, consensus, modified PoS protocol and so on. Before we explain these terms in detail, let’s see where you can buy NEO ecosystem tokens and how their price has changed over time. Both NEO and GAS tokens can be traded on several popular exchanges. With the current price of 73$ per token and circulating supply of exactly 65 million tokens, the main token is currently the seventh in the world in terms of total market capitalization. The highest price per token was on January 15th, when it reached stunning 187.77 dollars, which is a 400% price increase in under a month! 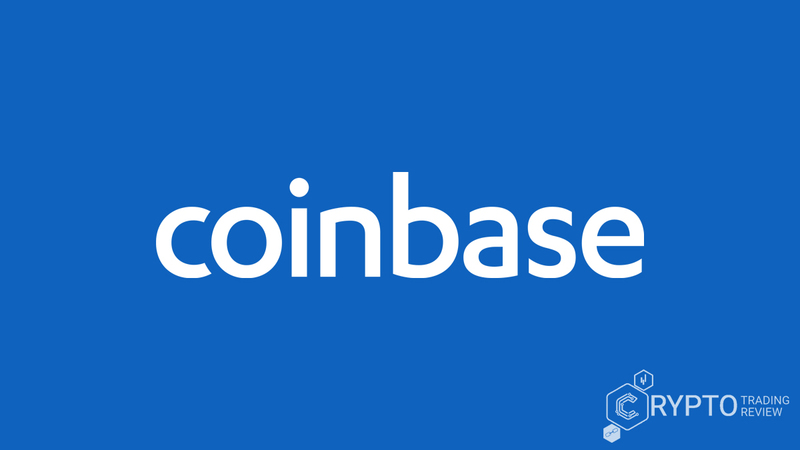 However, due to subsequent crashes of the whole crypto market that followed, the price has dropped significantly, but is now showing a slight upward trend. As for the available exchanges, the majority of daily trading volume comes from Tether and Bitcoin pairs on Binance, as well as USD pair on Bitfinex exchange. 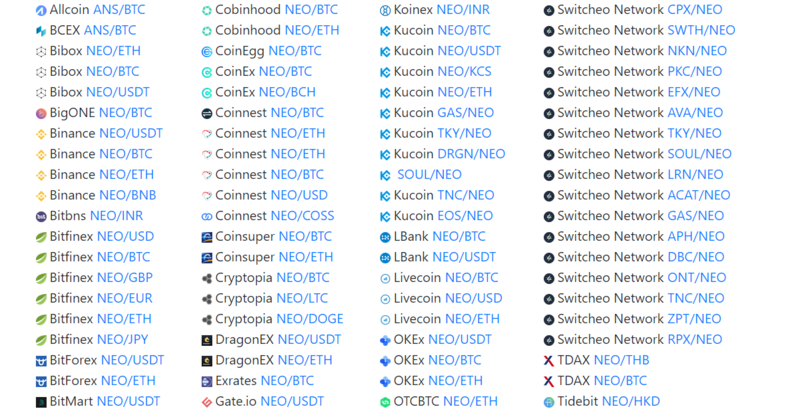 Currently, NEO can be purchased in more than 30 different exchanges, including the popular ones like Bittrex, HitBTC, Kucoin, Livecoin and OKEx, making it one of the most accessible cryptocurrencies on the market. GAS price also skyrocketed mid-January of 2018, reaching 85.68 dollars per token. However, market crashes significantly dropped its value, so it’s now resting at around 24 bucks per token. We should once again emphasize that, like almost all other cryptocurrencies, GAS is divisible, making it more convenient for trading smaller amounts. The majority of trading volume is concentrated on Binance and Huobi, with BTC, ETH and USDT being the most popular pairs. It is present on a dozen of exchanges though, the most notable ones being Kucoin and Poloniex, with the number growing constantly. With the circulating supply of around 10 million, its current market capitalization of 235 million dollars puts GAS on the 55th place of biggest cryptocurrencies. Not bad for a by-product of block generation, eh? Now you know where you can purchase these tokens. Now it’s time to push this NEO review a bit deeper into the project and explain some interesting technical features. Don’t go away! The most obvious technical feature of the NEO cryptocurrency is without a doubt its modification of popular proof-of-stake concept. Here, this modification is named delegated Byzantine fault tolerance, while other crypto projects tend to name it delegated proof of stake. In short, it is a consensus mechanism where each owner of NEO token can vote for any delegate, or bookkeeper. These delegates, trusted by other participants of the network, are staking high number of tokens as a collateral and guarantee of their fair behaviour. Each block generation requires a consensus of at least 66% of bookkeeper nodes. This modified kind of PoS concept features voting in real time and higher security features of the network in whole, since malicious bookkeepers and voters are automatically recognized and banned from the voting process. Although one of NEO’s most boasted features is the ability to create and execute smart contracts, some other ground-breaking features are present as well. NeoX, being one of them, enables cross-chain interoperability or, in other words, communicating and exchanging information with other blockchains using NEO platform. This means that smart contracts can perform several tasks on completely different blockchains. Pairing this functionality with NeoVM, a lightweight, scalable and blockchain-agnostic virtual machine for executing smart contracts, the possible applications of NeoX are immense. NeoFS feature acts as a decentralized cloud storage service that will be paired with NeoContracts feature. By utilizing special backbone nodes, NeoFS will enable smart contracts to divide and store large files on the blockchain itself, while it can also be used with digital identity feature. Finally, thanks to the NeoQS feature, the whole system is proven to be quantum resistant. Quantum resistance is a term that is gaining more and more recognition since discoveries in the field of quantum computing are growing rapidly. Basically, quantum computers will, among other features, be able to use advanced theoretical algorithms and break majority of today’s cryptographic algorithms, including the ones used by almost all cryptocurrencies. NeoQS relies on the lattice-based cryptographic mechanism which is not affected by quantum computing advances. This makes NEO a true cryptocurrency of the future. Now, let’s find out where you can keep these precious tokens! When it comes to wallets, NEO has a lot of them to offer, developed both by core team and various community members. Desktop wallet includes GUI and command-line wallets developed by the core team. Both are official wallets, meaning that staking your tokens here will grant you GAS as a revenue. Be aware that they download the whole blockchain data to your computer, therefore acting as full nodes. With one of these, you can even compete to obtain a bookkeeper role on the network, thus being responsible for validating transactions and creating tokens. There is also Neon wallet developed by City of Zion community, which features improved UI, private key login and doesn’t store the whole blockchain locally, but rather acting as a light client. You can use this wallet on Windows, Mac OS and Linux-based computers. Morpheus wallet is yet another good solution that supports NEO and all its underlying tokens used by dapps built atop of it, GAS and a palette of other cryptocurrencies. As for mobile platforms, O3 wallet might be the best solution. It is designed specifically for this cryptocurrenc and can be obtained both on Android and iOS devices. It lets you easily view, manage and transfer your assets, create contacts, claim GAS tokens and much more. There are several web wallets as well, the most notable one being NEO Tracker that also serves as a block explorer. All supported web wallets let you login either with passphrase, private key or a keystore JSON file and offer highest level of security. If you’re more fond of paper wallets, Ansy is a simple paper wallet generator that will suit your needs. It’s worth of mentioning that this cryptocurrency is supported by major hardware wallet generators. That being said, you can store your NEO tokens on Ledger Nano, Ledger Blue and NEODUN devices if you want the ultimate protection of your funds. That’s basically it regarding available wallet options. This NEO review has now covered pretty much all important topics concerning this cryptocurrency, so now it’s time to bring this extensive analysis to its end. As you have witnessed in various parts of this text, this project might truly become the cryptocurrency of the future. Due to the meteoric rise of the popularity of cryptocurrencies, especially those that act as platforms for developing advanced apps, its future will surely be bright. It already sports some significant advantages when compared to competitors, such as support for multiple programming languages, cross-chain compatibility, quantum resistance, digital identity storage and much more. If the project leaders keep on doing the fantastic work, we might yet see this company emerge in the true smart economy. 2018 is looking promising since the team has announced numerous activities in developing and promoting the platform. Major partnerships are in sight, along with building even firmer relations with the Chinese government. It will be interesting to track the project’s progress in the upcoming months, but nevertheless, NEO sounds like a quality long-term investment. Sign up today!